On January 8th, Kim Kardashian posted what she probably thought was an innocuous tweet about her daughter North West. Kim posted a photo of North hiding inside an ottoman, only her hair peeking out, and captioned it, “North is the hide & seek champ!” However, the North West “hide & seek” tweet became a “Kylie Jenner is hiding” meme. It’s true that Kylie has been in hiding, if that’s what you want to call it. Rumors about Kylie’s pregnancy started back in September 2017 and since then she appears to never leave her house and only breaks her silence to post a rare social media selfie. 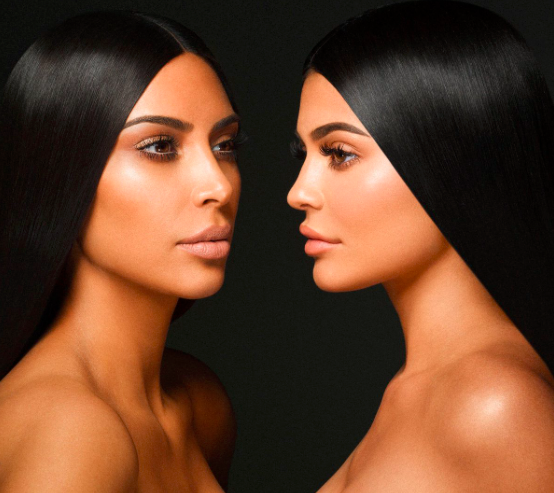 However, we might not have to wait much longer for official word from the youngest Kardashian because it appears as if she might make her pregnancy announcement on Keeping Up With the Kardashians. During the promo for the Sunday, January 14th episode of KUWTK, Kylie is seen FaceTiming Khloé and everyone is making shocked faces at whatever it is that Kylie said. Then again, we all thought Kylie would announce her pregnancy via the family’s Christmas card, so honestly, we know nothing. In the meantime, here are the Twitter reactions we are forever going to refer to as *Kylie is the hide & seek champ*. ok but where is kylie? All jokes aside, Kylie is a 20-year-old going through her first pregnancy, so if she wants to hide, we should let her be.